The We Make Health Fest took place on Saturday 8/16. 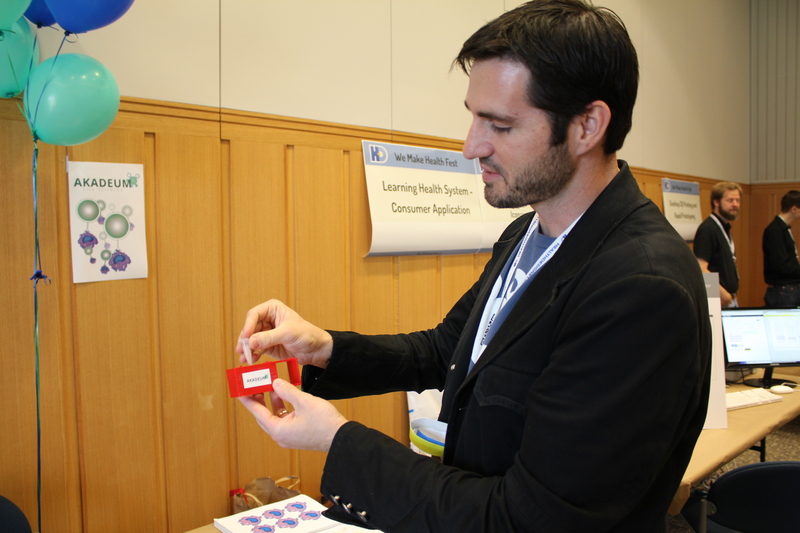 The fest was hosted by the University of Michigan and encouraged creation of technology that could change how we stay healthy. Speakers from the community presented on many exciting topics and below you’ll find some of the exciting ideas that makers had to share. 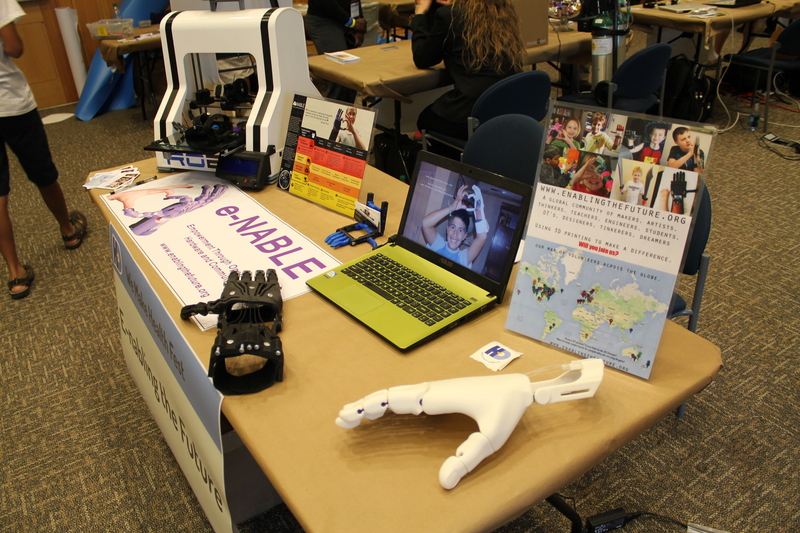 e-NABLE showed off low cost 3D printed prostheses which can be manufactured for much less than the cost of commercial prosthetic solutions. They are focused on sharing information about the maker movement effort to produce a low cost prosthetic hand. Akadeum Life Sciences demonstrated technology to isolate samples of cells at a high purity rate. By coating specifically targeted cells, their glass micro-bubbles can attach to the cells and float them to the surface of a solution. The technology has applications for food pathogen testing and purifying cell samples. This type of purification is often done using Fluorescence-activated cell sorting (FACS). FACS separates cells into different containers by examining cells one by one. It does this by first placing a cell in individual droplets of a liquid. The fluorescence characteristic of each droplet are measured and based on this measurement, the system decides how to sort the cell. The actual sorting is done using electromagnets. Akadeum’s solution allows for sorting many cells quickly in a low cost manner. Brandon McNaughton demonstrates the ease of using Akadeum’s cell isolation process. Researchers with the University of Michigan School of Public Health developed IconArray.com as an easy way for clinicians to visualize risk in a standard way. UM researchers have published multiple articles demonstrating that icon arrays (“pictographs”) are more effective than bar or pie charts at communicating risk and reducing cognitive biases in risk perceptions. You can read more about the development and existing uses of of IconArray here. 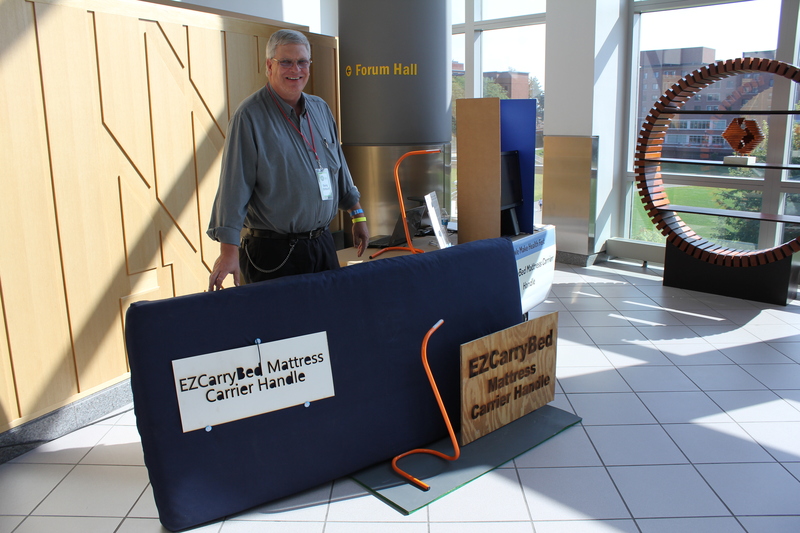 Gary Olthoff demonstrated his invention to ease carrying of mattresses. When his father was placed in a nursing home, Gary observed frequent moving of mattresses would cause injuries to staff. The staff had difficulty maneuvering the unwieldy objects and the task required two people to complete safely. His original solution was built from a lawn mower handle and was well liked by staff at several facilities where it was on loan. After several iterations on the design, he prepared a commercial version called the EZCarryBed Mattress Carrier. The device allows a single person to easily hold and move the mattresses. 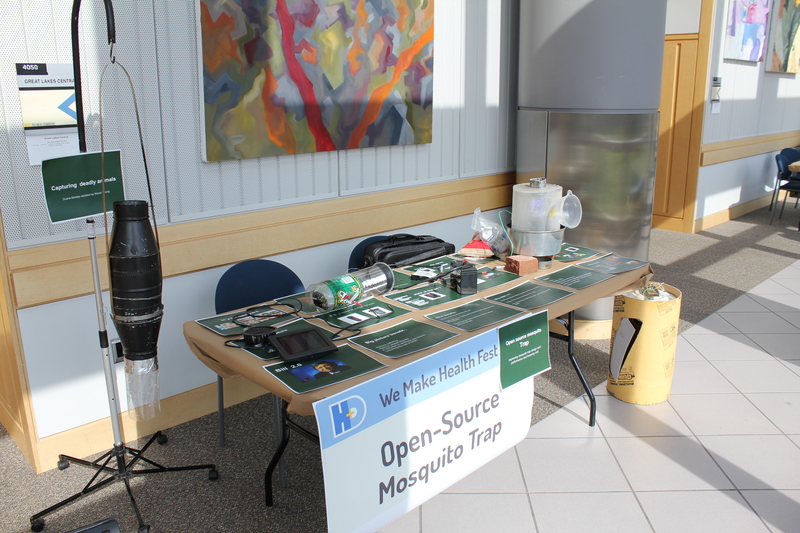 Duane Mackey showed off his DIY Mosquito trap. The traps started as a science fair project after he was inspired by Gates Foundation’s work to prevent the spread of Malaria. He set out to build a better mosquito trap and after several iterations has designs that performed better than commercial solutions during tests. He plans to make the designs freely available at openmosquitotrap.org (Note: At time of publication this link was not functional). Iterations on an open source mosquito trap design. Did you make it out to the festival? Let us know what technology caught your eye in the comments below! Nate Yost (of All Hands Active) demos a Back Yard Brains 2 Channel EMG SpikerBox. Solus had various mobility scooters designed for amputees on display.